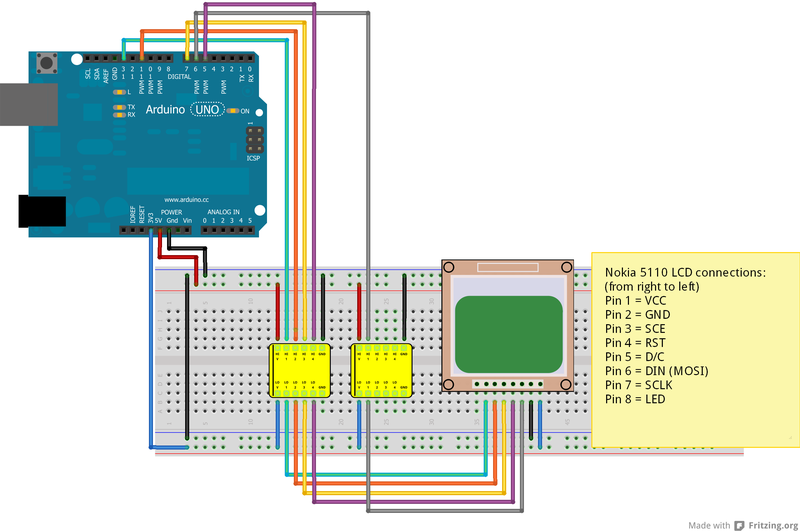 Extract the Adafruit libraries into “..\arduino-1.0.4\libraries\”. From the File menu, click on Examples, then “Adafruit_PCD8544” and “pcdtest”. Compile and download (or “upload” in the Arduino world). Done! You should see various graphic examples being displayed.